One of our contributors, Deb Milimaka-Miles just celebrated her birthday and has also just embarked on a new exploration of oil painting (hopefully we’ll see her new work posted here soon). 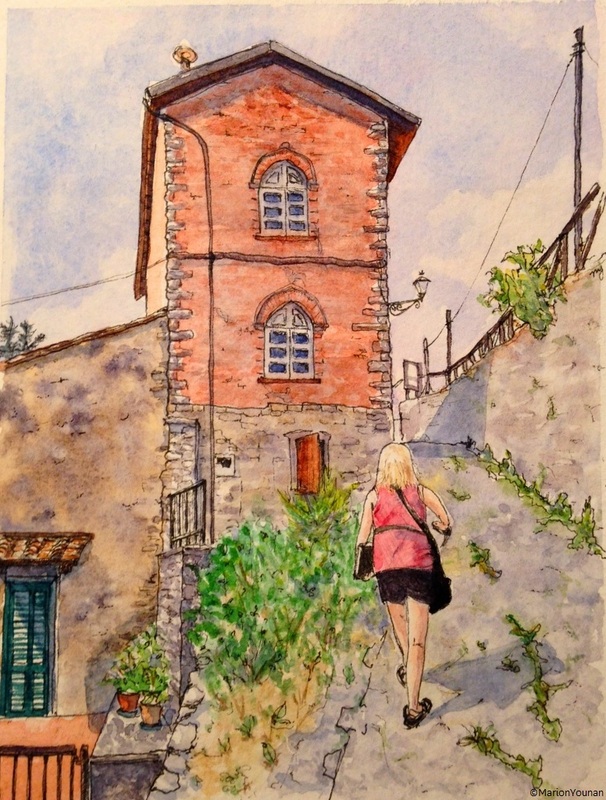 To commemorate a new year and a new adventure, I made this pen and watercolour drawing from a photo on our art trip this past summer in northern Italy. Let’s raise a glass to the road ahead!